Many times we complain about what we don’t have rather than thank God for what we do have. Have you ever complained about how small your house is, how old your car is, or how out of style your clothes are? Sure you have. And you know, of course, that there are plenty of people out there who don’t even have a roof to sleep under, much less a new car or stylish clothes. It might be a shock to you, but even pastors (ministers, preachers, bishops) have times when they complain about the “field” they are called to plow. I have done it. I even did it today, right before I read Proverbs 13:23. Today we had a death in our church. The loss of this key member has been a blow to all of our congregation. And being that our numbers are small, the loss of any member is painful, especially when growth has been extremely slow. At one point I began to feel anxious. I asked God, “How can we grow a church if our younger adults start dying?” I thought to myself, “If we lose many more, we won’t be able to pay our utility bills, not to mention the little I get to feed my family.” For a moment I considered this field too small for even a minimal harvest. Then I read this proverb. Then I read what the wise Matthew Henry had to say. Then I felt ashamed. See…[how] a small estate may be improved by industry, so that a man, by making the best of every thing, may live comfortably upon it: Much food is in the tillage of the poor, the poor farmers, that have but a little, but take pains with that little and husband it well. Many make it an excuse for their idleness that they have but a little to work on, a very little to be doing with; but the less compass the field is of the more let the skill and labour of the owner be employed about it, and it will turn to a very good account. Let him dig, and he needs not beg. Sounds like I need to just get back out in the field and turn the soil, doesn’t it? A small field can be full of produce if worked well and wisely. It is those who complain that let a harvest waste away. Dear Heavenly Father, strengthen our hands and energize our hearts for the work. The fields are truly white unto harvest, so who are we kidding? We just need to work a little harder to bring it in. 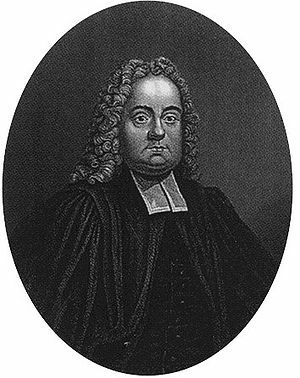 Matthew Henry, Matthew Henry’s Commentary on the Whole Bible: Complete and Unabridged in One Volume (Peabody: Hendrickson, 1994), Pr 13:23.